Patients today often find themselves being cared for by an orchestra of separate providers lacking a conductor. Increasing specialization of care has created a fragmented arrangement of disparate providers loosely connected by inadequate means of communication and information exchange. 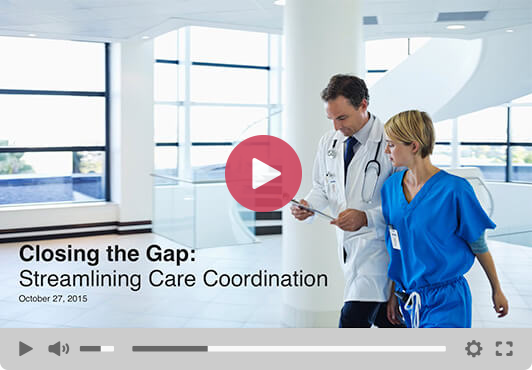 During this webinar, industry experts discuss how clinical event notification technology can help close gaps in patient care and streamline care coordination. Complete the form to watch the webinar recording.